Great Lakes shorelines naturally change over time. Beaches erode. Dunes shift. Sometimes, even the rockiest bluffs collapse. When nearby beaches can’t get sand, they degrade into muddy or rocky messes. shoreline intact. The keys to that are two piles of rock that jut out into the lake. some sand pass by. There’re other elements to the design as well. Tall, blue-green grasses line the beach’s perimeter. A lot of homeowners and city planners applaud Shabica’s work. But not everyone does. others have to follow suit, just to preserve their own sandy shoreline. and allow more natural erosion. they try to protect their investments. build near the shore, but how to do it. construction or get expert advice on local geological systems. “If you don’t pay a lot of attention to these systems, it’s gonna cost you a lot of money. shoreline protection efforts – even the bad ones – are here to stay. That’s definitely the case along highly-developed, urban coastlines, such as Illinois’. Other parts of the region are catching up, though. It’s just a way to come to terms with our presence along the lakes. 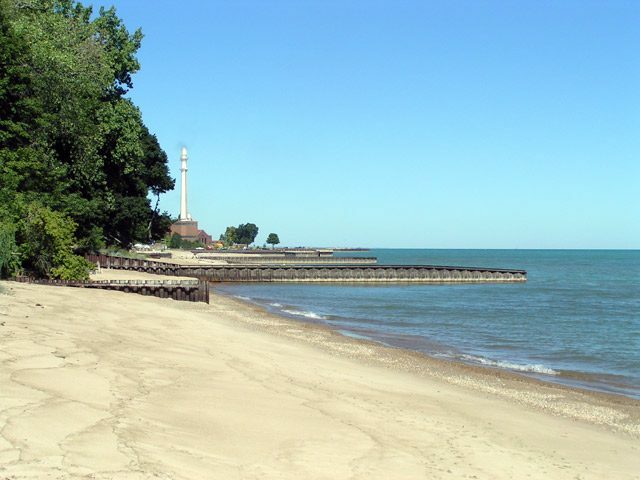 the Great Lakes will be engineered, one beach at a time. In Michigan, the state Supreme Court recently declared the entire 3,200 miles of Great Lakes coast is public property. 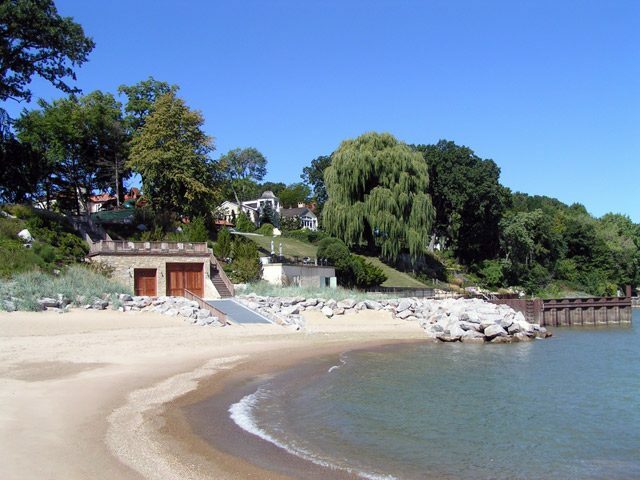 But a group of lakefront property owners says the decision has created a host of problems. They’re complaining that it appears to leave them with no recourse for dealing with people who cross the line of considerate behavior, such as loud picnickers, and careless dog-walkers. Ernie Krygier is with one of the most active property owners’ groups, Save Our Shoreline. 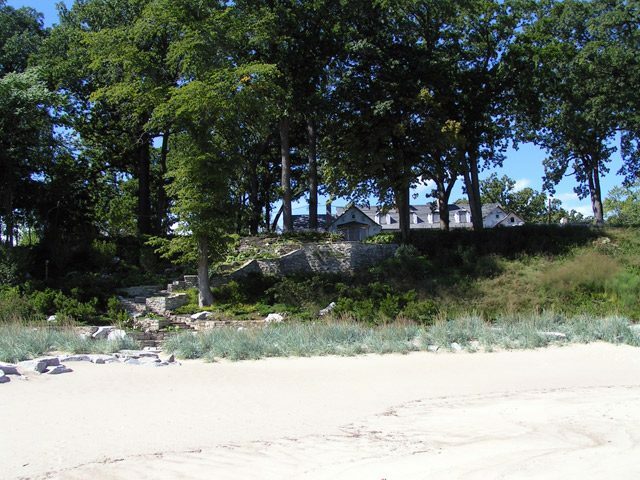 The Michigan property owners now want the state Supreme Court to issue a more-detailed ruling on what’s allowed and not allowed on the Great Lakes beaches. Krygier says they’re also hoping to win back at least some of the shoreline. If not, he says, the property owners could file a lawsuit claiming the court’s action amounts to a seizure of their property, and they’re entitled to perhaps billions of dollars in compensation. A sign posted here on a Lake Michigan beach by a property owners’ association warns people who might wander past that they’re about to tread upon private property, but many people walk right past it anyway to enjoy a stroll on the shoreline. Jim Wright lives nearby, and says he’s walked this stretch of beach for twenty years. The recent Michigan Supreme Court said it’s okay for Wright and everyone else to ignore the sign. 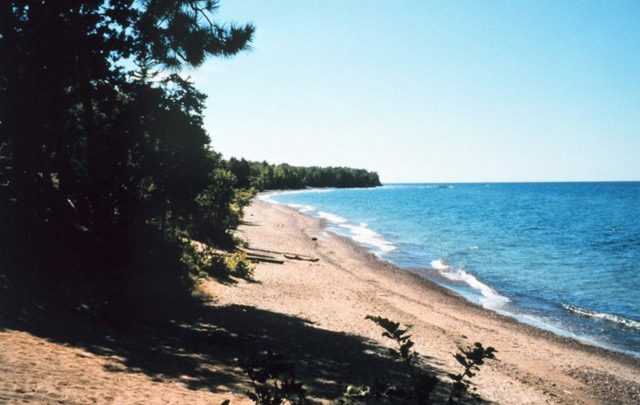 The ruling said Great Lakes beaches are a unique resource, held in trust by the state for the public to use and enjoy. The court said public access in Michigan extends from the water to the high water line. That line meanders from beach to beach, from lake to lake, and from season to season. It’s generally indicated by debris deposits, or the absence of beach grass and other vegetation, and Jim Wright says the court made the right decision. It’s a controversy that’s playing out in other Great Lakes states. In Ohio, officials are saying the Michigan decision supports their position that the Lake Erie coast belongs to the public. Shoreline property owners there are suing the state, asking a federal court to declare they own the beaches adjacent to their property. Noah Hall is a Wayne State University environmental law professor who’s filed briefs on behalf of conservation organizations supporting public access to the entire Great Lakes shoreline. He says the Michigan decision will have a regional impact. He says the Michigan decision is a boost to those arguing the entire Great Lakes shoreline belongs to the public, and not to any private interest. For the GLRC, I’m Rick Pluta. ice cream shop to the city beach. Jet skis and water skiiers slice through the waves. Carpenters raise trusses on homes being built into the remaining lakefront lots. 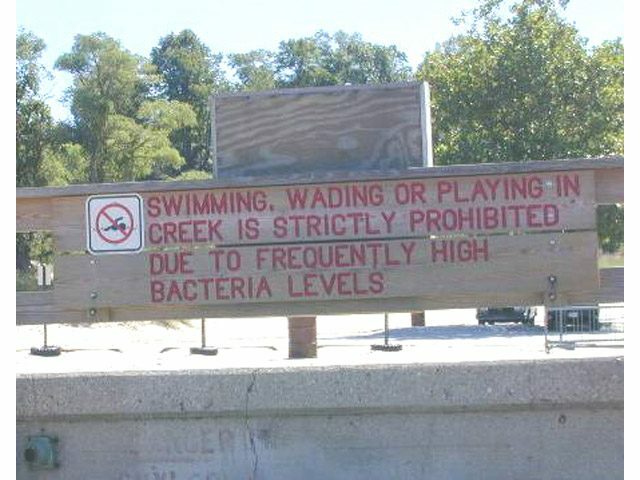 a strain on local sewer plants. been released into the big lake it was built on…Lake Charlevoix. doesn’t want anyone getting sick. But it’s still a concern, and there are other concerns. detergents, fire retardants, and pesticides. just might come back around to hurt humans, fish and wildlife. flow back down into Lake Charlevoix. wetlands to let nature filter it out. environmental quality and filed a lawsuit. are the dangers from contaminants unknown, the best way to deal with them is unknown. environment that brought folks there in the first place. For the Great Lakes Radio Consortium, I’m Chris McCarus.